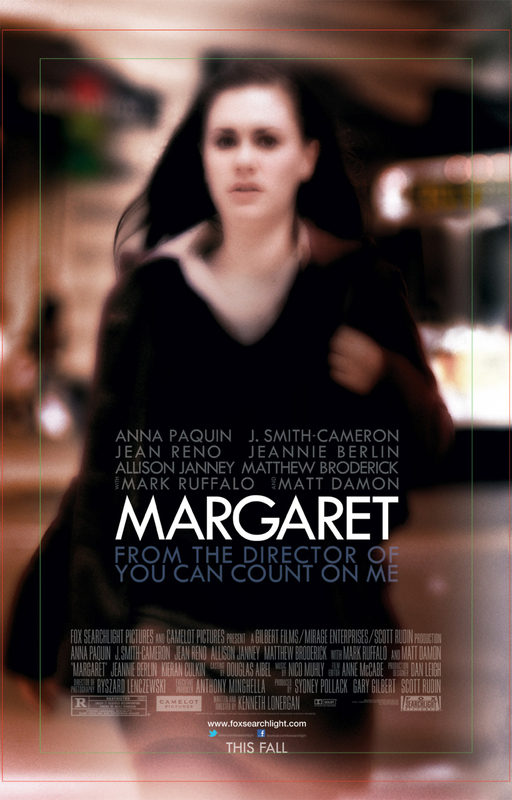 Margaret Blu-ray release date was set for July 10, 2012. Lisa Cohen, teenage student living in Manhattan is on a shopping trip when she almost misses her bus. She's running along next to the moving bus trying to get the bus driver to open the doors. During his interaction with her, he misses a red light and hits a pedestrian named Monica Patterson. Patterson dies in Lisa's arms. Lisa confronts the bus driver, Gerald Maretti who pretends to have forgotten what happened then argues that he did nothing wrong. Lisa becomes involved in a lawsuit against the transit authority on behalf of the pedestrian. Her life is in shambles, and she seeks the arms of her math teacher and a classmate. Lisa and her mother have a rocky relationship and after the accident, that relationship reaches a boiling point. Emotionally frustrated and upset about accident, her life spirals out of control.